Museums on the Arabian Peninsula are undergoing rapid high-profile development. In many states in the region, such as in Qatar, Bahrain, Oman, Kuwait and the Emirates, modern Western-style museums are frequently now being announced, designed and opened. Among these, the Museum of Islamic Art of Doha, Qatar, is likely the best-known example; however, it does not stand alone. The planned Louvre Abu Dhabi, the Museum of Middle East Modern Art of Dubai and other similar projects have attracted worldwide attention for their size and scope. The central features of such projects and museums include spectacular architecture, world-class collections, intense international speculation, as well as a distinctive Western-orientated approach to both curation and art history. 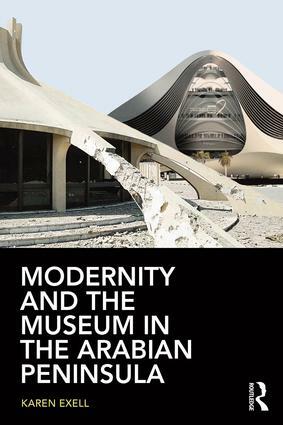 The common perception inherent in this development trend perceives the Arabian Peninsula as tabula rasa in terms of culture and tradition, where any kind of ‘in-house’ museological knowledge is absent. A new book by Karen Exell challenges such preconceptions. The result of a 4-year-long study examining museological strategies in the region, it brings to light neglected observations in the field including the emergence of smaller museums and festivals and performances reflecting aspects of local culture. Less well-known to the international public, yet culturally relevant in the region, these initiatives form components of the ruling class’s general cultural strategy, which should be understood in context by global art circles. In fact, the region is rich in heritage, but could it be that the Western world has trouble accommodating within its paradigms an art that is both intangible and performative? For this reason, its value is less well-comprehended outside of the Arabian Peninsula. Museological practices do exist in the region, following a well-designed agenda that combines local, regional and international spheres. Lastly, alongside these public developments, there is a rich world of collection and displaying of material culture in homes and smaller, private museums: also this, a practice hardly known to the outside world. According to Karen Exell, global and international collections are only one aspect of a much more complex cultural heritage in practice being deployed by the ruling families. A twofold political agenda aims at retaining cultural and traditional identity while balancing it with aspects of a more secular modernity, thus promoting both large-scale and internationally relevant museums and locally significant cultural events. The central thesis of the book is that international and local cultural productions in the sphere of museums exist simultaneously and each is a product of the regional engagement with globalization processes with each articulating aspects of the regional contemporary identity. The book is probably the first one presenting a coherent overview of the landscape of museums and heritage projects in the Peninsula, while providing a critical evaluation on the nature of contemporary museum and culture-related projects. 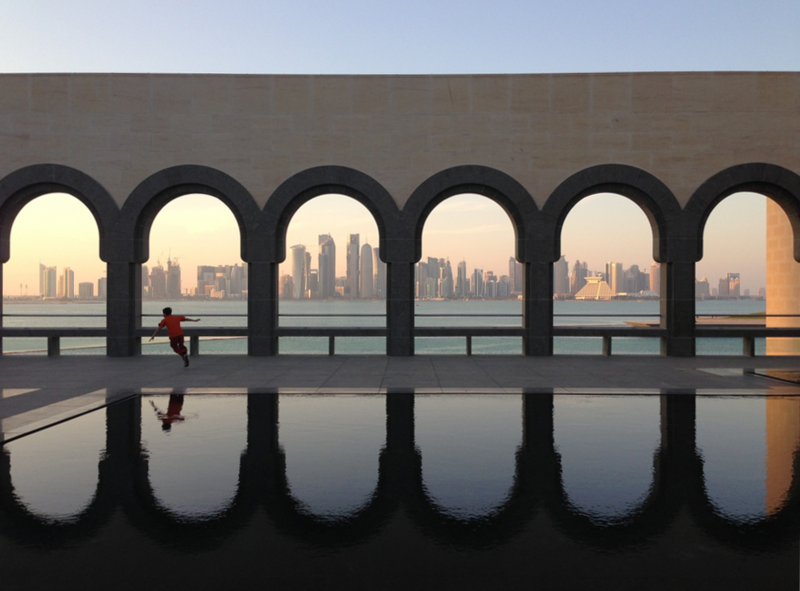 The skyline of Doha, Qatar, from the Museum of Islamic Art.